Continuing my mission to ‘save’ some old blog posts, which would otherwise be forgotten (by me, for instance), this is a vintage post from the Westminster Media Comment blog in March 2009 (the original, with a comment, is here). 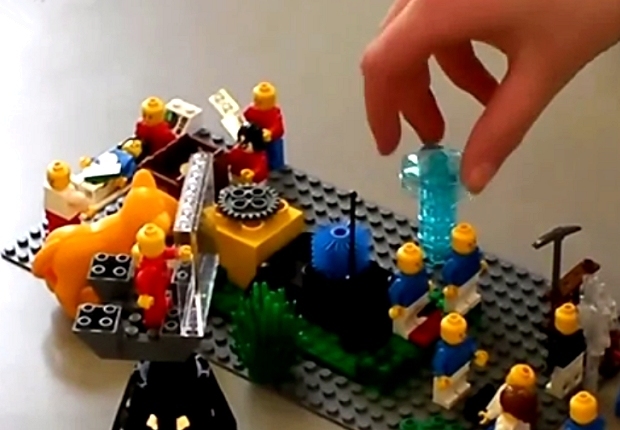 It originally had the longer title, “Building the future of Parliament… in Lego”. On Wednesday afternoon [in March 2009], we ran a workshop in which potential first-time voters (also known as first-year University of Westminster media students) built visions of what a parliament of the future should be like. Rather than just discussing the topic, they created metaphorical models representing their ideas in Lego. This was an extension of my previous research using Lego, and collaboration with Lego Serious Play. This particular workshop on parliamentary futures was in collaboration with the Hansard Society (“the UK’s leading independent, non-partisan political research and education charity”). They emailed asking if we might be able to gather together some students to do a conventional focus group … I replied asking if we could perhaps use different methods to explore the topic … and thus a collaboration was born. The Lego method produced richer findings than I would expect to get from just a group discussion –and the students themselves, as well as the Hansard Society researchers, agreed that this seemed to be the case. Parliament should be accessible, and politicians should be visible as members of the ‘real world’. There should be a drive for consensus, rather than party-political battles. Education about politics is vital. Participants said that school students should be educated about politics from an early age – even if they thought they didn’t want it at the time – as it was so important.